Can't handle my ALE, need some help. 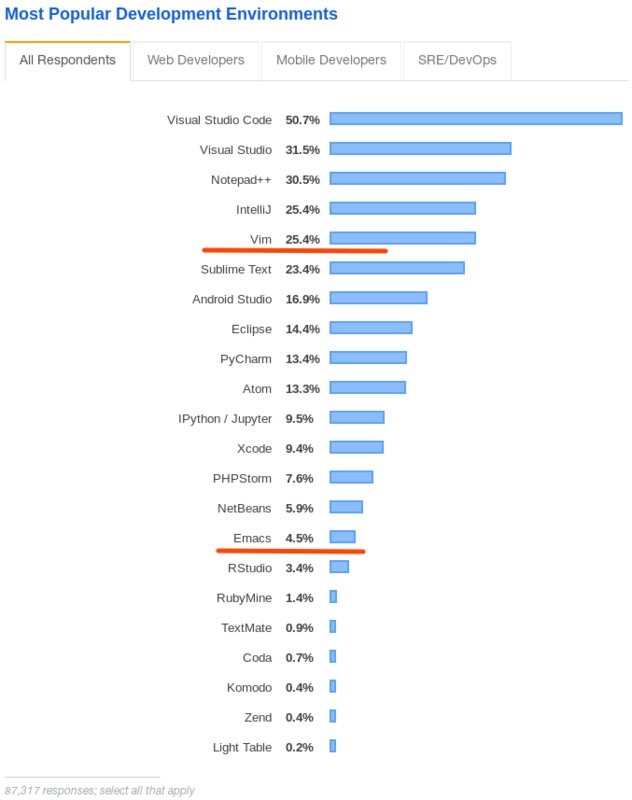 How much harder is using vim for someone who only types with index fingers? Cannot access system clipboard from terminal vim. Questions about the Vimium Browser Plugin: Is anyone here familiar with Vimium? Your first experience with vi/vim and why you tried. A really dumb question, please don't hate me. How to modify a Plugin's keybinding? I try to set dictionary path according to file type or file extension in my vimrc file. How to create mappings with <Alt> key in a for loop? Quickfix list disappears when I open another file? File completion from insert mode. How to "Go"
How to enable history completion in bash vi mode? How do I remap the 'i','o' and 'a' keys? zc/za closes all folds on first use. Is this expected behavior? VIM nerds your HJKL navigation doesn't take your Caret all the way to the end of the line; but right ONE character before the end; ℹ ➡ what do i do there, use right arrow key?! Spell check with camel case? Exiting a shell session created with the :term command leaves the window open, and turns it into a normal readonly buffer. Any idea how to get the :term window to auto-close on exit? Map a key command to insert a particular text string in insert mode? How do I run a Python file in VIM? 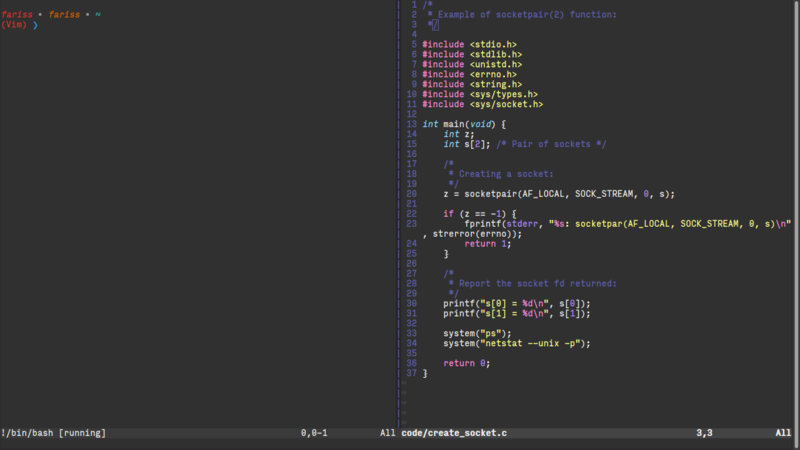 How should I read the source code of vim ? What is the difference between a "word" and a "WORD"? I made my first Vim plugin! It's called Stamp. .zshrc File's Syntax Causing Lag When Scrolling? Are there any websites for functions? Using true color support or t_Co=256, where either is available - or are they exclusive? Best semantic highlighter for vim, (especially python)? Storing and using a line number in a variable. 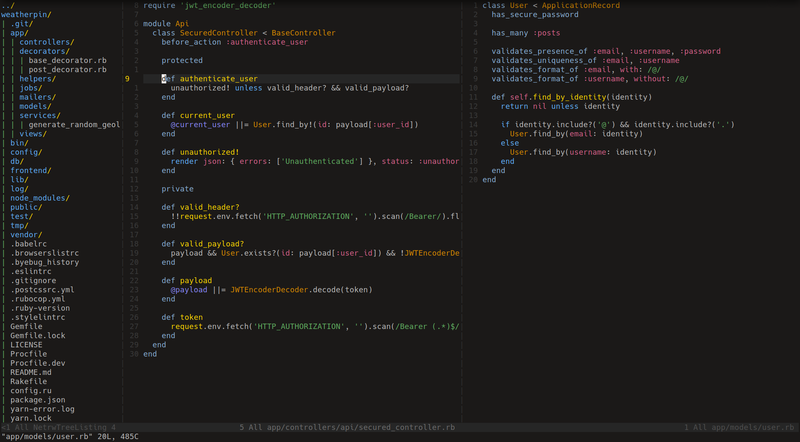 What are the pitfalls of making my own syntax highlighting? May anyone recommend me to vimrc file for python? 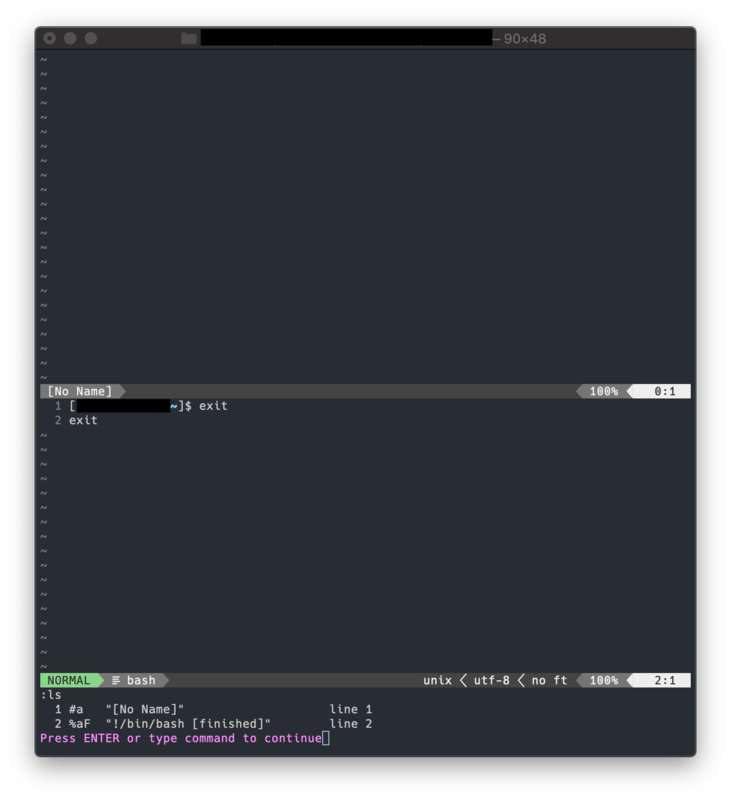 Vim registers and system clipboards on Linux(Ubuntu XFCE). How can I set the terminal to the right side of the screen?